Don't be fooled into thinking that all red onions are mild and sweet. It is true that they are fantastic for including in your salad as they provide a much needed flash of colour to an othewise boring green dish. 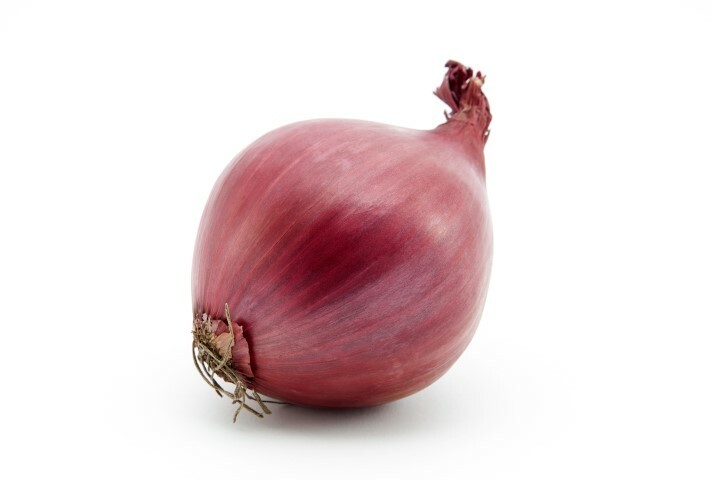 The flavour of red onions can vary throughout the year, depending on length of storage, variety, soil type and country of origin and are often just as strong as their brown cousins. Red Onions develop their characteristic red rings as they mature. Pulled straight out of the ground and cut open, the rings appear nearly as white as they do in a brown onion. So don't be alarmed if you slice your red onion open and is doesn't have much colour, it just means it is a little fresher!